Revomaze Silver is quite simply BRUTAL as puzzles go. Most people will never solve this puzzle. It will remain a pretty, solid, paperweight. 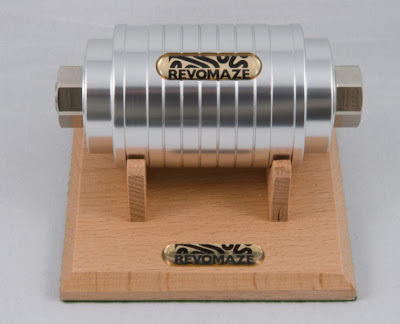 As of writing this blog, several hundred Silver Revomazes have been sold and only 35 of them have ever been opened – more than a year after they were launched. 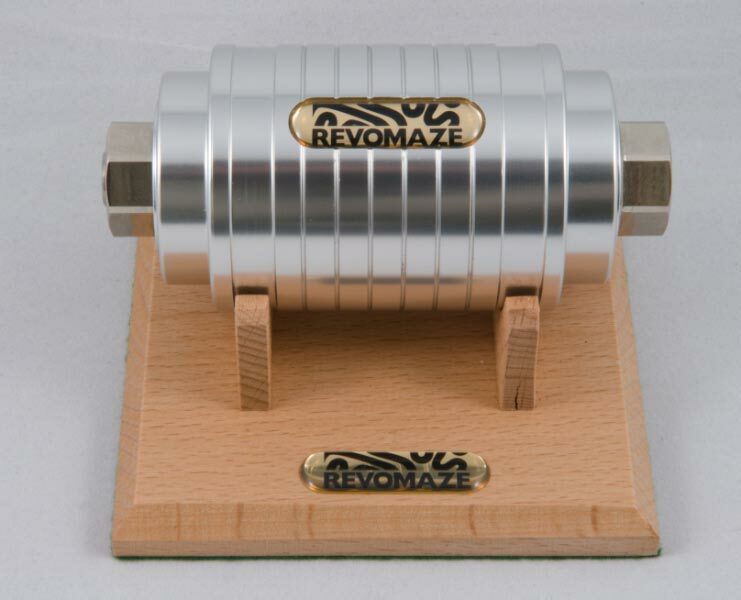 Silver is billed as a ‘dynamic’ maze, so you’re expecting things that change or move, in fact if you shake it you’ll hear things moving about in there … and none of that will prepare you for what you come across in there! So let’s suppose you’ve found your way past the ‘not-a-canyon’ – you now find yourself in the area lovingly known as ‘the swamp’ – because all the weirdness that you’ve seen up until now simply pale into insignificance compared to the apparent randomness of the swamp. You can find yourself locked in a tiny room with no means of escape until, apparently miraculously, something changes and you find wide expanses to play in – you’ll try and map those areas only to find that they keep changing size and change for no apparent reason – but worst of all, once you get into the swamp, there’s non apparent way out. By now most mortals are spending months on this puzzle, work out how to get out of the swamp, you head for where you know the exit is, only to find that Chris has introduced a lovely little feature he’s dubbed the ‘Dead End’ – go in there and you find yourself trapped, mere millimetres from the end … with no way to get there … and most folks end up back in the swamp, heartbroken. Lesson from the Silver – there is always a way out and everything matters! You invited how many of them around?! The best puzzle lock, ever?